This vegan Instant Pot Sambar recipe will show you how to make sambar and get a wonderful soup to go with your Indian meals. 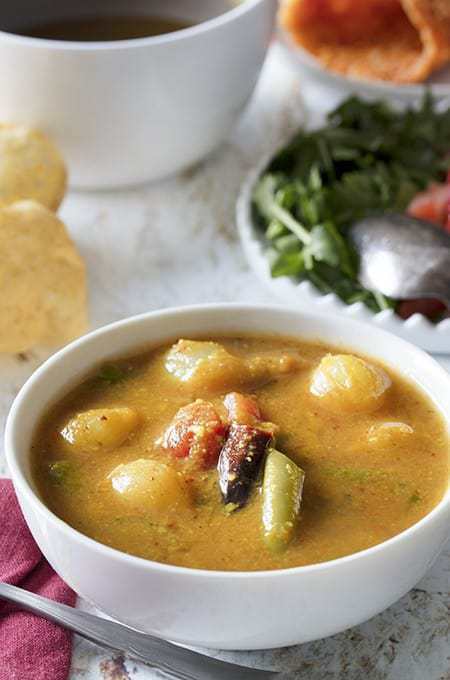 This is an authentic sambar recipe for an Andhra Sambar–one that has been handed down for generations–but most importantly, it is very tasty. This sambhar recipe has a few more steps than my typical recipes, but I can guarantee that you will find it well worth it–because this makes some of the best homemade sambars I’ve ever had in my life. I can say this without any false pride–because this is Shubha Iyengar’s recipe that I tweaked to make just a few changes. 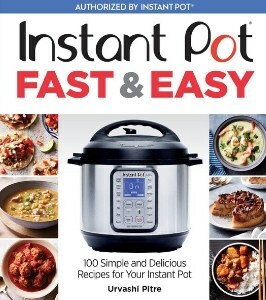 But it’s not just Shuba’s recipe–it’s a recipe that has been in her family for generations–minus the Instant Pot of course! Let’s let Shubha tell us a bit about this. My Maternal grandfather was a priest at the Ranganathaswamy temple in a small village called Thondapadu in Ananthapur district of Andhra Pradesh. Being a priest, it was very important that sumptuous Prasadam was offered to the Lord which would then get distributed to the bhaktadis / visitors to the temple. It was imperative the food be made with extreme love–and it had to be very delicious. My grandmother was in control of the kitchen. How she made such delicious prasadam was out of the world to me, which then was translated to her daughters and through my mother to me. Though we have adapted to the new-gen taste these days, the recipes that have been signature to the way it was made has never changed in our households. 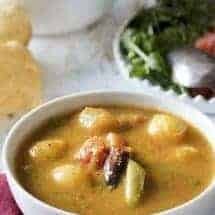 Whenever we make such recipes at home, it brings alive all those eternal lovely memories of our childhood, playing on the temple streets, cleansing near the main gate with my grandmother and her daughters drawing the Rangoli in wee hours of the morning, prasadam distribution and we eating that lovely meal. Make a sambar spice blend. If you don’t want to do this, you can buy a ready-made sambar powder blend as well. Cook the toor dal with spices, tomatoes, and aromatics first. Use an immersion blender to blend this dal. This step is not typical, and Shubha says she’s not aware of other families doing this either. But I tried it, and it really does make the sambar a lot smoother and more homogenous and I found I preferred the second batch of sambar I made by following this method. Quick cook some vegetables into it. This is also when we add the tamarind concentrate. We add this later since tamarind can retard the dal from cooking. Do a tadka using a tadka ladle or a small heat-proof pan. I debated this last step since I don’t typically like to dirty that many dishes. But I will say it makes a difference so don’t skimp on it. I know I’m asking you to get a few specialty ingredients for this Instant Pot Sambar such as toor dal, sambhar powder, curry leaves, etc. But you can use the toor dal to make Pressure cooker Rice and Dal. You can use the sambhar powder in this super simple Spicy Cauliflower soup. You can use the curry leaves in this Dry Sesame Garlic chutney. See? 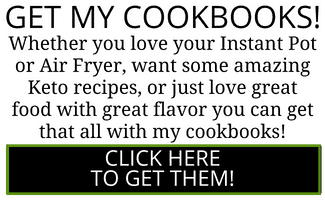 I never ask you to buy something for one recipe only! And I will soon post other recipes with the tamarind concentrate as well. 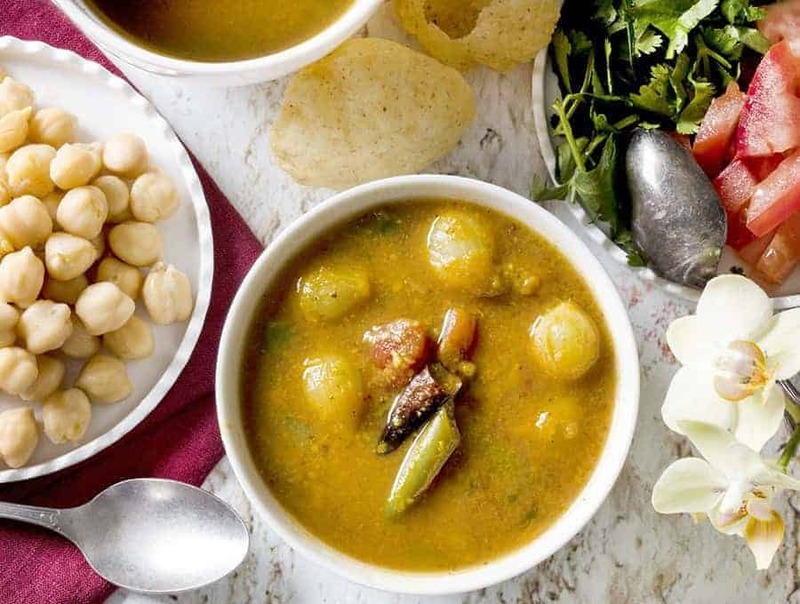 This vegan Instant Pot recipe will show you how to make sambar and get a wonderful soup to go with your Indian meals. This is an authentic sambar recipe that has been handed down for generations--but most importantly, it is very tasty. Make sure you have your Sambar Masala blend made up. You can either make the sambar spice blend at home using this recipe, or you can purchase it here. 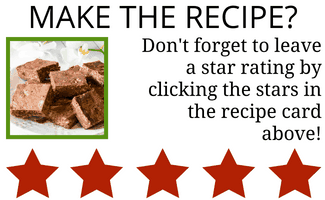 If you're using the homemade blend, use the whole batch for this recipe. For Storebought masala, use 1 tablespoon if you like it moderately spicy or adjust downward as needed. Add dal, water, tomatoes, chopped onion, sugar, salt, turmeric, cayenne and sambhar spice blend to the inner liner of your Instant Pot. Cook for 10 minutes at high pressure. Allow the pot to sit undisturbed for 10 minutes, and then release all remaining pressure. Using an immersion blender, blend together the dal and vegetables. You are doing this to create a flavorful mix and to keep the dal from settling to the bottom in what will be a relatively thin broth. To the blended dal mixture, add 2 cups water, the tamarind concentrate, and the frozen vegetables. Cook for 2 minutes at high pressure and then immediately release all remaining pressure. On the stovetop in a small pan (preferably a tadka pan), heat 1 tablespoon of ghee. When it is hot, add mustard seeds, the whole red chilies, and the curry leaves. Stand back and allow the mustard seeds to splutter about 30 seconds. Pour this hot, flavored ghee onto the sambhar, garnish with chopped cilantro and serve. Hi. I have my mom’s sambar powder. In that case how much quantity should I use? I made sambhar for the first time using this recipe and it turned out delicious. I added a little more tomato and salt at the end for taste but what a great recipe! In the picture, I noticed some Gol Gappas – My Childhood favorite . 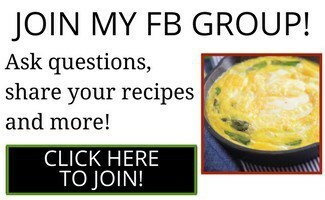 If you know the recipe, can you please post that soon.